Tipping points usually refer to the place where balance is lost, forcing the lighter side to yield to the heavier side. But there are other tipping points other than the gravitational tugs responsible for balancing a scale. Public opinion is the force that tips the balance of our governmental direction. The political direction we take as a nation decides our fate until we decide upon a new direction. The actual meandering nature of how we want to be governed is not a straight line, nor should it be. 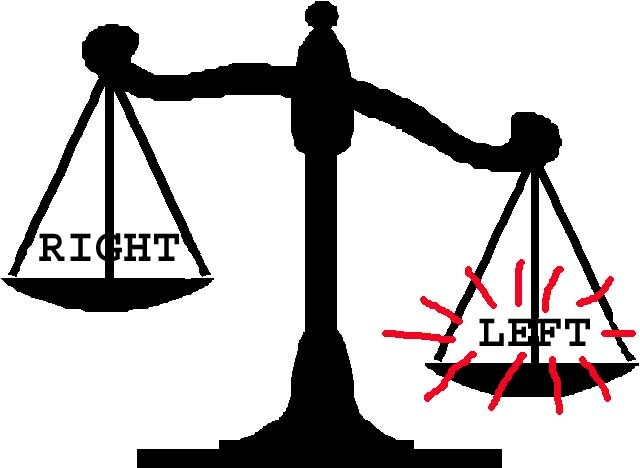 Left and right extremes are both attractive and at the same time, destructive. We flirt with both until we have an ‘uh oh’ moment and change our course. It is my firm belief that electing President Obama has created a tipping point back towards the center. Obama’s poor stewardship of the economy has put us as a nation at risk. Although most Americans do not thrive on or keep up with politics beyond their own personal biases, they are keenly aware when something is not going as it should and react accordingly. Rush Limbaugh hit the right note in one of his radio addresses when he commented that Obama was stuck in the 1930’s. I have an uncle who swears that he and his fellow siblings would have died from starvation had it not been for the work programs started by Roosevelt. It is undeniable that Roosevelt developed legions of followers during that historic period. We had an out of work population that depended upon the soup kitchens and work programs just to survive. It worked well politically for Roosevelt, but did little to promote the private sector. The economy did not improve until after World War 2. Interestingly, after the war, the industrial complex which had been geared for the manufacture of war materials shut down. Unemployment shot back up after the war plus we had millions of returning veterans needing a job in an America that was deeply in debt. The war provided general employment but did not advance us economically. Two major gains of the war years were an experienced workforce and updated factories. Both of which were poised to finally lift us out of the depression. The election of 1946 led to the dismantling of wartime regulations and the wage and price controls that were strangling the private sector. Wage and price controls were entrenched and the ‘big-government’ politicians wanted to maintain their power over the private sector. But in 1946, the tipping point was reached by the American electorate and they largely sent the big-government politicians packing. The following is just a taste of that tipping point. I have borrowed just a snippet from a well written piece to share with you. Follow the link provided to read the complete piece penned by Gary M. Anderson. “Fortunately, the voters had a chance to voice their objections where they counted most—at the ballot box. On November 5, 1946, many sitting Congress members were firmly told by their constituents to find other lines of work. In the House of Representatives, a Democratic majority became a Republican majority, with the latter picking up an astounding 57 seats. In the Senate, the Democrats also lost their majority, with the Republicans garnering 13 seats. Since America’s industrial complex was left untouched by that ravenous war, we became the major source for manufactured goods. Europe was devastated, Britain’s capacity was limited, and most of the major players in Asia had been demolished. Such was the scene in 1946. America became the world’s provider. Middle-income Americans thrived as did American manufacturing. The late 1940’s and through the mid 1950’s were golden economic years for America. There are two more tipping points of interest where the electorate’s tolerance for ‘big-government’ was tested. That was in 1994 and again in 2010. All indications are that 2012 will only reaffirm the repudiation of liberalism. The election of President Obama was in itself a gift to conservatives. He has rekindled that independent spirit within the heart of all Americans. They will not tolerate being dictated to by heavy-handed political hacks. Those advocates of strong centralization to accomplish their ideas seek to undermine the power of the individual. Remember, the closer an individual is to the decision making process, the more he is empowered with a higher probability of influencing decisions. An individual has more of a chance of influencing issues on the local level than the national level. It is the empowerment of the individual that led the framers of the Constitution to localize power as much as possible. Freedom is your ability to determine your actions and to be responsible for them. Freedom is the ability to achieve; in fact, we all depend upon those who can turn dreams into reality. Charity is also important. But there needs to be a line of demarcation between charity and dependency creating, endless welfare. True charity is giving a helping hand and encouragement, not creating a substandard life of dependence. Those who receive charity should have to face those who are helping them. Being blind to the help given and not having to demonstrate any willingness to progress only creates more dependence. The morass of dependence is debilitating and fosters resentment that cannot be quenched short of criminal activity or outright rebellion. The tipping point of 2010 was just the start of a major shift from our headlong plunge into the abyss of socialism. 2012 will be a test of whether we shall regain our individualism or continue to slide into that moldy morass of social and economic decay. Here are other articles by Robert you might find interesting. When I look under the hood of Liberalism, there is no longer a 'There' there; just a Utopian dream with no workable solutions. Liberalism leads to the equal sharing of emptiness, poverty, and dependence. A Sea of Freedom --How far left is far enough? Obama is testing how far Left he can take us. Broader Viewpoint-- It is evident by our indebtedness that we have strayed too far to the Left politically. A course correction is necessary.